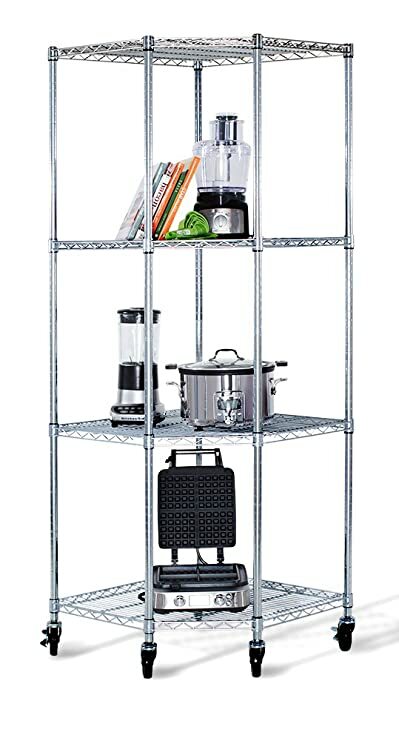 TRINITY’S NSF certified heavy-duty commercial grade EcoStorage wire shelving rack is perfect for any industrial, home, garage, or kitchen use. With an 800 lb. weight capacity per shelf on feet levelers, it can hold any of your boxes, cookware, tools and everything in between. Assembly requires no tools and uses a slip-sleeve locking system allowing shelves to be adjustable in 1-inch increments. TRINITY’s high quality all stainless steel table is great for your indoor, outdoor, kitchen, or garage needs. 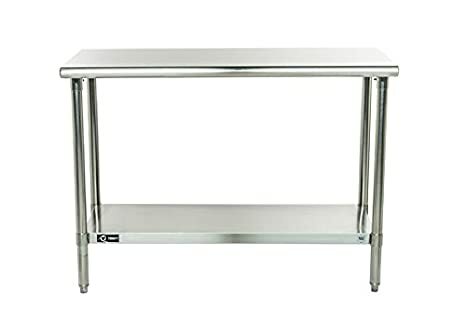 NSF certified, this table is built with a fully-adjustable stainless steel bottom shelf to store anything you need. TRINITY’s EcoStorage Wine Rack is a great addition to any kitchen or pantry area. 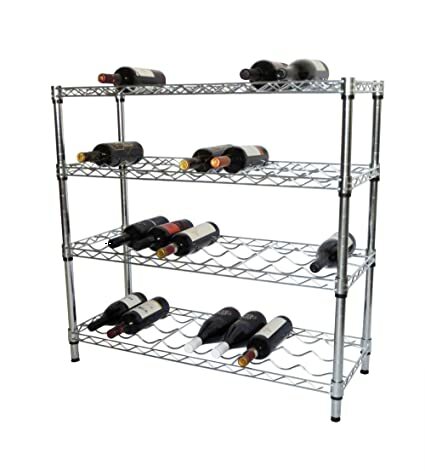 The rack holds 36 bottles of wine and can be expanded at any time. 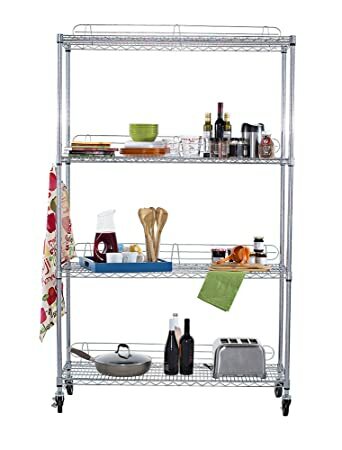 TRINITY’S NSF certified heavy-duty commercial grade EcoStorage wire shelving rack is perfect for any industrial, home, garage, or kitchen use. With an 500 lb. 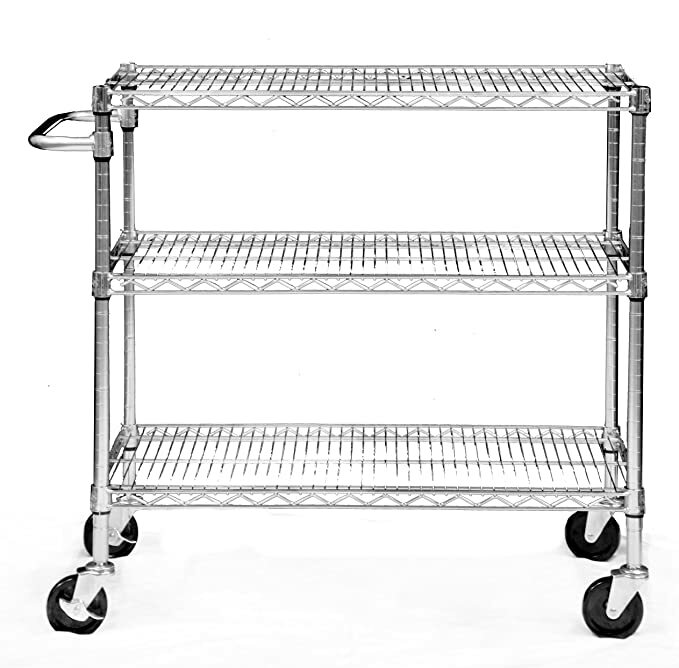 weight capacity per shelf on feet levelers, it can hold any of your boxes, cookware, tools and everything in between. Assembly requires no tools and uses a slip-sleeve locking system allowing shelves to be adjustable in 1-inch increments. 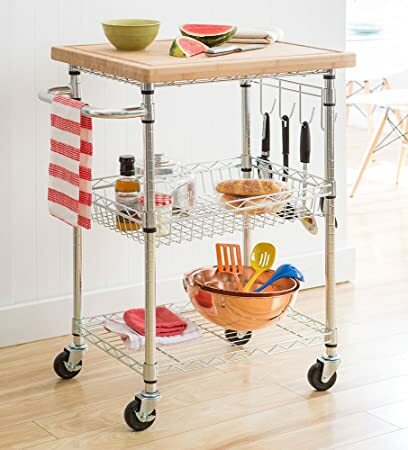 TRINITY’s EcoStorage Bamboo Kitchen Cart is a blend of form and function. The large 100 solid bamboo cutting board can be used both on the cart or on your countertops. Shelves and basket are adjustable in 1″ increments for your own custom configuration. 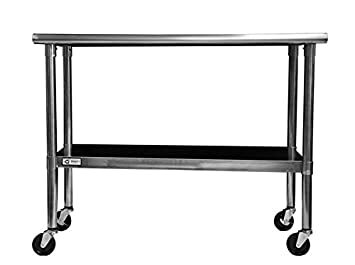 TRINITY’s high quality all stainless steel table is great for your indoor, outdoor, kitchen, or garage needs. NSF certified, this table is built with a fully-adjustable bottom shelf to store anything you need. It also comes with wheels that make this the perfect mobile unit. TRINITY’s high quality all stainless steel table is great for your any of your indoors needs. 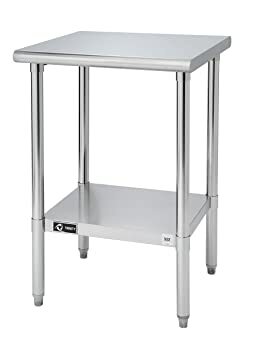 NSF certified, this table has a fully-adjustable stainless steel bottom shelf and includes feet levelers to ensure your table is level. 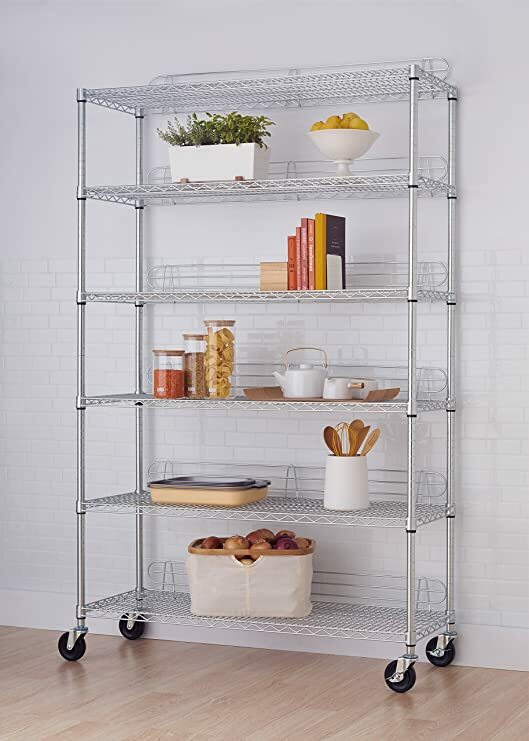 TRINITY’S NSF certified heavy-duty commercial grade EcoStorage wire shelving rack is perfect for any industrial, home, garage, or kitchen use. With an 00 lb. weight capacity per shelf on feet levelers, it can hold any of your boxes, cookware, tools and everything in between. Assembly requires no tools and uses a slip-sleeve locking system allowing shelves to be adjustable in 1-inch increments. TRINITY’S NSF certified heavy-duty commercial grade EcoStorage cart is perfect for any industrial, home, garage, or kitchen use. With an 800 lb. 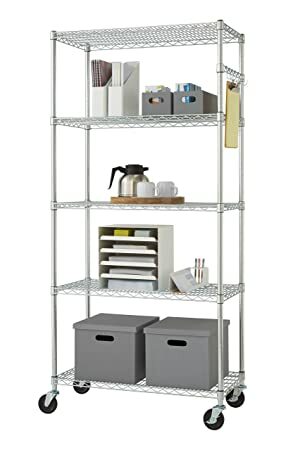 weight capacity on wheels, it can easily hold and maneuver any of your boxes, office products, tools and everything in between. Assembly requires no tools and uses a slip-sleeve locking system allowing shelves to be adjustable in 1-inch increments.